Brisbane has beaten out Sydney, Melbourne and Perth in a race to secure extra Qantas flights to Tokyo. The airline announced in December it was returning to the Brisbane-Tokyo Narita route, launching the four-times-a-week offering with Airbus A330 aircraft. At the time, Qantas said it was in discussions with other airports for a further three flights a week to Tokyo Narita, with Melbourne, Sydney, Perth or Brisbane the potential candidates. However, the Brisbane-Tokyo Narita route will now be daily when it launches on August 1, the carrier said on Wednesday. Qantas regional manager for Queensland Peter Collyns said the extra three flights a week were great news for travellers. “We’ve worked closely with Brisbane Airport to increase our upcoming Tokyo route to a daily service, as well as Tourism and Events Queensland and the Queensland Government,” Collyns said in a statement. Meanwhile, Qantas said it would take over the Melbourne-Hamilton Island route currently flown by its low-cost subsidiary Jetstar from June 27. At the same time, Jetstar was scheduled commence flying between Melbourne and the Whitsunday Coast with a three times a week service starting June 25. Tourism and Events Queensland (TEQ) chief executive Leanne Coddington said the tourism body would work closely with Qantas on marketing initiatives to support the new flights. 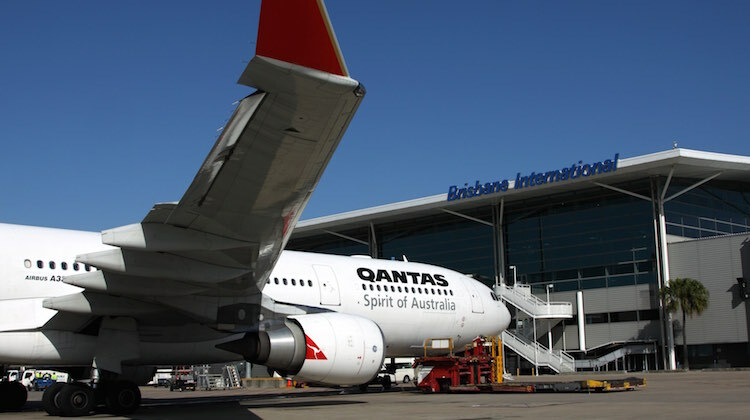 “TEQ has worked closely with Qantas and Brisbane Airport Corporation to support the Tokyo route which will have the capacity to bring more than 100,000 extra travellers to Queensland each year,” Coddington said in a statement. Great news, QANTAS has been doing really godd improving.. I think PER – JNB, PER – DPS, SYD – DXB – CGD and MEL – NRT routes are needed to be re-introduced in the future. Great news!! Brisbane is getting air connectivity with the Japanese again, but not with JAL. This time, it is QANTAS!! Yaaaaaaaaaaaaaaaaaay!!!!!!!!!!!!!!!!!!!!!!!! After nearly over 4 years without the BNE – NRT route, Brisbane travellers will head straight to Japan, that is if they are wanting to go there. Fantastic news. We go to Japan a few times a year and have tried the Goldcoast a few times but not a good option for us. By the time we get down to Coolangatta we could have flown to Sydney and caught QF21. Looking forward to the new business seats as the Jetstars were sort of like premium economy. I didn’t mind the 747 business class seat..but a tad old these days and the A330’s new business seat looks almost like a suite. The day time early evening arrival BNE-NRT and nightime early morning arrival NRT-BNE schedules, as of the previous BNE NRT flights, will also work very well.